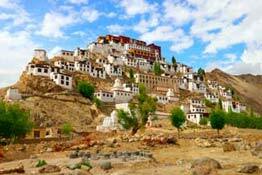 Bound and made up of mountain, Ladakh is an ultimate travel destination for adventure seekers. 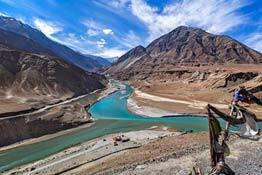 Be it trekking in Himalayas, rafting in Indus or road trip and mountain biking, trip to Ladakh gets you high on never ending adrenaline rush. 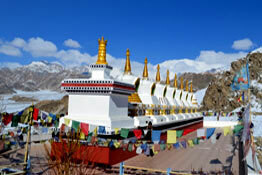 Select from our tastefully crafted theme based tour itineraries or customized trip to Ladakh using our tour planner. 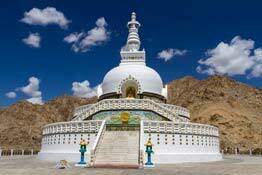 No matter which part of Ladakh you wish to travel, we offer complete information on Leh and Ladakh. 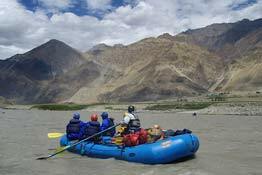 Select your dream trip to one of the most adventurous terrains in the world. 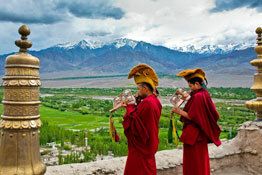 Discover ancient trade routes, explore pristine landscape and come face to face with ancient Buddhist culture of Ladakh. 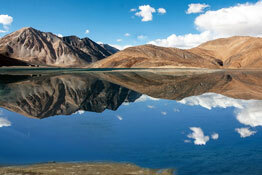 Ladakh, just the name fills travelers with the adrenaline rush and an urge to visit soon. 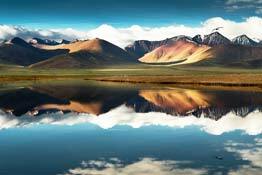 This land is not ordinary, in the sense you won't find a tourist destination so barren yet loved by all. 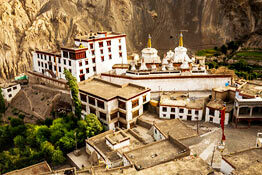 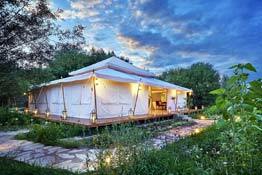 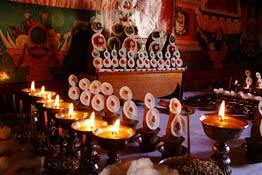 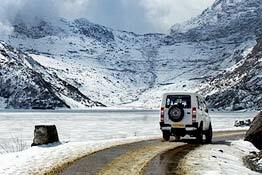 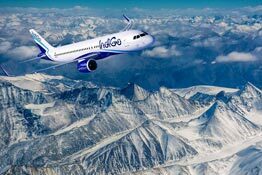 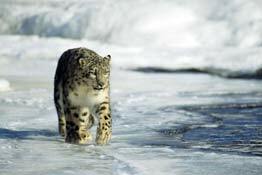 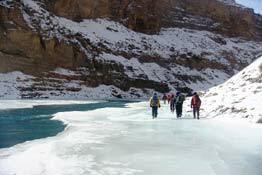 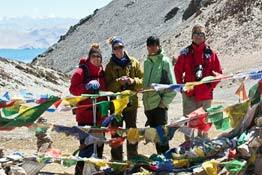 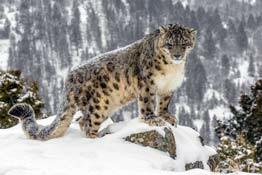 Packing the best of Ladakh together, are the Ladakh tour packages offered by Leh Ladakh India. 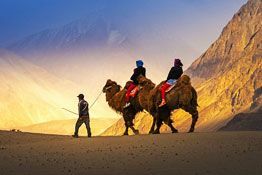 The overwhelming rustic setting of this region is best known for its shimmering lakes where minutes turn into hours; topsy-turvy roads which wait for mountain bikers; and trekking routes sitting with open arms for their lovers. 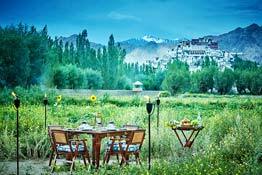 When you choose from our select Ladakh travel packages, you will get a slice of everything that's there to enjoy here. 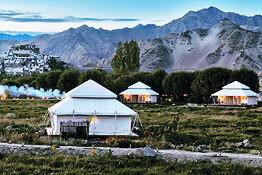 Every other day, Ladakh tourism experiences a blow, thanks to the many travelers who love its tranquil environment. 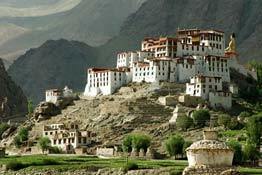 The beauty of Ladakh comes with an everlasting charm from May till September, which leaves behind autumn to relish. 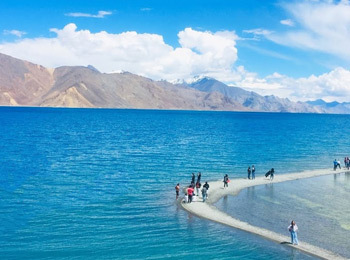 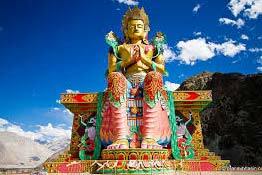 On a Leh Ladakh tour expect to be taken over by the spiritual aura of Buddhism, which pulls you to Ladakh tourist attractions like Shanti Stupa, Lamayuru Monastery, Alchi Monastery, Diskit Monastery to name a few. 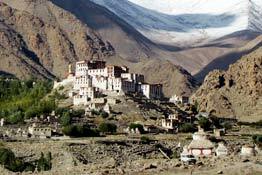 Further, on your Leh Ladakh trip , you would come across the sheer valleys namely Nubra, Zanskar, and Drass.